Ashtakoot System of Matching Horoscopes - 2. As I have already posted a short article on Ashtakoot System of Matching Horscopes (http://astrosaxena.com/astakoot), please consider this article as sequel of earlier one as I try to describe the system in utmost detail. I am trying to do it because I didn’t find any article online (as much as I searched) which gives information of all the 8 different criteria in details. So, I am putting all possible information about Ashtakoot System of Matching Charts at one place, so that people won’t have to search at different places. As such, I will try to be as detailed as I can be to cover all points but I am sure that all of us understand that no research in Astrology is ever complete. So, there will be some unanswered queries here and there, which we would again need to research about. Here, I would appreciate if readers can give their inputs about all they know about Ashtakoot, so that I can include those points too. Normally, it is only seen to check if numbers are good or not. None goes into the research why numbers are coming like that? Here, I am trying to explain why and how, rather than only what? So, let’s begin with this prelude. Varna: This factor represents the spiritual development of the partners. It has 1 point out of 36 points. Vasya: This factor describes the degree to influence the other partner. It has 2 points out of 36 points. Dina or Tara: This factor measures the number of Nakshatras between the Moon positions of the partners. It has 3 points out of 36 points. Yoni: This factor measures sexual compatibility. It has 4 points out of 36 points. Graha Maitri: This factor reflects the mental compatibility and affection. This score is about friendship. It has 5 points out of 36 points. Gana: This factor is about the temperament and it's advised to have the same temperament as your partner. It has 6 points out of 36 points. Rasi/Bhakoot: This factor describes the relationship between the Moon signs and Nakshatras of the partners. It has 7 points out of 36 points. Nadi: This factor is about progeny and children. In some ways it also relates to health issues between the partners. It has 8 points out of 36 points. Other considerations like Ascendant or Sun. Astakoota uses the first option, i.e. Rasi/Sign of the Moon. Brahmins or Priests- Karka (Cancer), Vrishchika (Scorpio) and Meena (Pisces) – Water Signs. Kshatriyas or Warriors - Mesha (Aries), Simha (Leo) and Dhanu (Sagittarius) – Fire Signs. Vaishyas or Merchants - Vrishabha (Taurus), Kanya (Virgo) and Makara (Capricorn) – Earth Signs. Shudras or Laborers - Mithuna (Gemini), Tula (Libra) and Kumbha (Aquarius) – Air Signs. Only rule for Varna Matching is that the Varna of the Groom should be equal or higher than the Varna of the bride. Favourable combinations get 1 point, else 0. Like, if girl is Shudra by Varna then Guy can be of any Varna. Simplest way to understand is that Guy’s Varna should not be lower than Girl’s Varna. Reason is simple that responsibility is on Guy to develop the bride and prospective family towards spiritual values as traditionally, he is supposed to be the head of family. Manava - Gemini, Virgo, Libra, the first 15 degrees of Sagittarius, Aquarius. Chatushpada – Aries, Taurus, the second 15 degrees of Sagittarius, the first 15 degrees of Capricorn. Jalachara – Cancer, Pisces, the second 15 degrees of Capricorn. Keeta or Insect – Scorpio. Chatushpada, Manava, & Jalachara groups are Vasya to the Vanachara group. In common understanding, Lion (Leo) will have upper hand over quadruped, human and water animals. Chatushpada, Jalachara, & Keeta groups are Vasya to the Manava group. Likewise, Human will have upper hand over quadruped, insects and water animals. Jalachara (Water) signs are the food of the Manava (Human) signs. So, human signs will have upper hand over water signs. Chatushpada signs are the food of the Vanachara sign. Leo will have upper hand over quadruped signs. If both the bride and groom have the same group, for example, both are Chatushpada, then Vasya is considered good and 2 points are given. – It means both will be able to influence each other at different times. Sign of good compatibility as both will have their say. Good healthy relation. If one person's group is Vasya to the other, for example, if the bride's group is Chatushpada and the groom's group is Manava then 1 point is given. - In this example, the groom will be able to command and influence the bride. Bride will allow the influence to be used on her. Only one side will have influence over the other and other side will follow. If one person's group is food to the other, for example, the bride is Jalachara and the groom is Manava then 1/2 a point is given. - Now, as I understand, here food means making someone totally submissive in relation. So, this is the situation where one side become virtually non-existent in relation and other side dominates like anything. If neither the bride nor groom is Vasya to the other, no points are given. – None is obeying any command or influencing each other. For ex - Chatushpada, Jalachara, & Keeta groups are not Vasya to each other. In this case, if pair is made out of these groups, then both sides will run polar opposite to each other and won’t listen. Here, in 21st century, I think we should understand Command/Influence as the ability to listen/counsel each other. Then things will be more understandable for us. Janma Tara – Longevity of the Couple – Bad – Remainder 1. Sampath Tara – Wealth and Prosperity – Good – Remainder 2. Vipat Tara – Accidents and difficulties, unfortunate events – Bad – Remainder 3. Kshema Tara – Prosperity – Good – Remainder 4. Prathiyak Tara – Obstacles – Bad – Remainder 5. Sarthaka Tara – Favorable – Good – Remainder 6. Vadhai Tara – Suffering and hardships – Bad – Remainder 7. Maithra Tara – Friendly – Good – Remainder 8. Parama Maithra Tara – Very Friendly – Good – Remainder 9. For Tara calculation, you should start counting the Nakshtras from the girl to Nakshatra of the guy (both inclusive) and divide it by 9. The same is done from the groom birth star to that of the bride. If the remainder of bride and groom calculation are even number then the matching is auspicious and maximum 3 points are given. If only 1 of the remainder is even number then 1.5 points are given. In that case, matching is average. If both are odd numbers then no score is given. It is no matching. If the remainder is 2, 4, 6, 8 or 0 then it is good. Here, you would understand why 1st, 3rd, 5th and 7th tara bala are said to be Bad and why 2nd, 4th, 6th, 8th and 9th tara bala are said to be Good, i.e. Odd/Even thing. If 1 is remainder, refer to Janma Tara. It means longevity can be an issue between couple. If 2 is remainder, refer to Sampath Tara. Then it is good. Likewise, for other odd/even numbers. If the boy Nakshtra is Anuradha and the girl Nakshatra is Rohini. Count the Girl Nakshatra to the Boy Nakshatra, we get 14. 14 / 9 = 1 (Quotient) and 5 (Remainder). Since the remainder is 5 it is not good. The Tara Score is 0 from girl’s side. If the boy Nakshatra is Jyeshta and the girl is Poorvaphalguni. Counting from the girl’s constellation we get 8, since this figure is less than 9, it is taken as it is. Therefore in this case the Tara koota score is 1.5 points from Girl’s side. From Guy’s side, there are 21 nakshatras. 21/9 = 2 (Quotient) and 3 (Remainder). Since the remainder is 3 it is not good. The Tara Score is 0 from guy’s side. But their average score taken together is 1.5. The Nakshtra is Girl is Ashwini and the Boy is Chitra, Counting from Aswini to Chitra we get 14. The calculation is 14/9 = 1 (Quotient) and 5 (remainder) – Not Good. Girl star is Ashwini and boy is Shravana. From Boy to Girl we see it is 22 and we see 22/9 = 2 (Quotient) and 4 (Remainder) – good from Boy to Girl. We also need to check from Girl to Boy. Ashwa or Horse - Ashwini, Shatabhishaj. Mesha or Ram - Krittika, Pushya. Sarpa or Serpent/Snake - Rohini, Mrigashira. Shwan or Dog - Ardra, Moola. Mushika or Rat - Magha, P. Phalguni. Mahisha or Buffalo - Hasta, Swati. Vyagrah or Tiger - Chitra, Vishakha. Mriga or Deer - Anuradha, Jyeshtha. Vanara or Monkey - P. Asadha, Shravana. Nakula or Mongoose - U. Asadha, Abhijit. Singha or Lion - Dhanishtha, P. Bhadrapada. 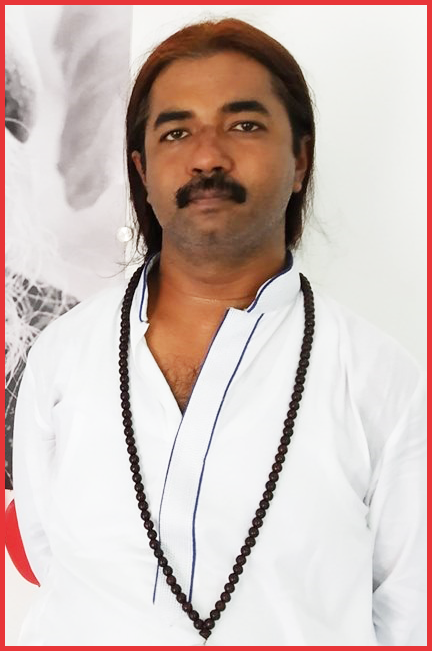 Male Nakshatras – Ashwini, Punarvasu, Pushyami, Hasta, Anuradha, Shravana, Purva Bhadra, Uttara Bhadra, Abhijit. Female Nakshatra – Bharani, Krittika, Rohini, Ardra, Ashlesha, Magha, Purva Phalguni, Uttara Phalguni, Chitra, Swati, Vishakha, Jyeshtha, Purva Ashadha, Uttara Ashadha, Dhanishtha, Revathi. Non-Gender Nakshatra – Moola, Mrigashira, Shatabhisha. Swabhava/Same Nature Yoni - Indicates that the animals are the same. Such marriage is considered to be auspicious. 4 points are given. For example - It means guy and girl both are Serpents. It is best match. Friendly Yoni - Indicates that the animals are friendly towards each other. 3 points are given. It is a good match. Neutral Yoni - Indicates that the animals are neutral towards each other. 2 points are given. It is an average match. Enemy Yoni - Indicates that the animals are enemies. 1 point is given. Not a good match. Sworn Enemy Yoni - Indicates that the animals are sworn enemies. No points are given. Not advisable for sexual and physical compatibility. The marriage between the constellation indicating same class of Yoni and between the male and the female stars of that yoni is said to lead to sexual compatibility, marital harmony and healthy progeny. If the male and female happen to be born in friendly yoni, but both represent female constellations, there will be frictions and disagreements leading to reduction in happiness. If however both belong to male constellations, there will be constant quarrels and major reduction in marital happiness. If marriage takes place between a male born in Moola nakshtra and female born in Ardra , this will be a very sexually satisfying relationship because the Nakshtra Moola and Aridra both are in the pair defined with the Dog. Such a combination will get full 4 points in Ashtkoot Gun Milan score. The combination between the Male – Male hostile Yoni will get 0 points. The below given pairs are hostile and should be avoided. The below table has allotted points based on the various combinations when looking at the Yoni Koota. Male + Female + Same Yoni – 4 points. Male + Female + Friendly Yoni – 3.5 points. Female + Female + Same Yoni – 3 points. Female + Female + Friendly Yoni – 2.5 points. Male + Male + Same Yoni – 2 points. Male + Male + Friendly Yoni – 1.5 points. Male + Female + Hostile Yoni – 1 point. Female + Female + Hostile Yoni – 0.5 point. Male + Male + Hostile Yoni – 0 point. This covers maximum points related to Yoni Koota Matching. Graha Maitri – This is simple. This factor reflects the mental compatibility and affection. This score is about friendship. It has 5 points out of 36 points. This is seen by comparing the sign lords of the moon in the chart of couple. The relationship between the lords differ and points are given according to their friendliness towards each other or otherwise. If two lords are the same or they are friends, 5 points are given. Like, Moon in Sagittarius and Pisces for guy and girl respectively, or Moon in Pisces and Cancer for guy and girl respectively. If one lord is friendly and the other is neutral, 4 points are given. Ex- The only combination I can think of is Sun and Mercury. If both lords are neutral, 3 points are given. Ex – Mars-Venus and Jupiter-Saturn combinations. If one lord is friendly but the other views them as an enemy, 1 point is given. Ex – Moon – Mercury, for the reason of mythological story I told you. If one lord is neutral but the other views them as an enemy, 1/2 a point is given. It happens when although one planet is inimical to other but other planet gets exalted in earlier planet’s sign. Like, Jupiter is inimical towards Venus but Venus gets exalted in Jupiter’s sign Pisces, hence Venus is neutral towards Jupiter. The other way around too. Jupiter treats Mercury as neutral, after accepting as Son, but Mercury is debilitated in Jupiter’s sign Pisces. So, Mercury treats Jupiter as enemy. If both lords consider each other as enemies, no points are given. Best ex – Sun-Saturn. Devata or Devine - Ashwini, Mrigashira, Punarvasu, Pushyami, Hasta, Swati, Anuradh, Sravanam, Revati. Manushya or Human - Bharani, Rohini, Aardra, Purva Phalguni, Uttara Phalguni, Poorvaashadha, Uttaraashadha, Purva Bhadrapada, Uttara Bhadrapada. Rakshasa or Demon - Kritika, Ashlesha, Magha, Chitra, Vishaka, Jyeshtha, Moola, Dhanista, Shatabhisha. Devata or Devine - Charitable, spiritual, represent piety and not materialistic. Manushya or Human - Evenly balanced between spiritual and materialistic. Rakshasa or Demon - Dominant, self-will and more materialistic than spiritual. Same Gana = 6 points. Manushya – Girl + Devata - Guy = 5 points. Devata – Girl + Manushya – Guy = 3 points. Manushya – Girl + Rakshash - Guy = 3 points. Devata - Girl + Rakshasha - Guy = 1 point. Rakshash – Girl + Devata – Guy = 0 point. Rakshash – Girl + Manushya – Guy = 0 point. Bhakoot –: This factor describes the relationship between the Moon signs and Nakshatras of the partners. It has 7 points out of 36 points. Bhakoot or Rashikoot testing is used to verify the overall health, welfare and prosperity of a family after marriage. It is believed that Bhakoot Dosha can affect the intimacy between the couple and cause delays in pregnancy. With a maximum score of 7 points, this is the 2nd most important test and one that causes a lot of anxiety in couples. Bhakoot Dosha is based upon the distance or number counted from the bride's rashi to the groom's rashi and vice versa. 1/1 – means same Moon Signs. 1/7 – means opposite Moon Signs. 2/12 – means Moon signs one after the other. 3/11 – means Moon signs at 3rd sign/11th sign from each other. 4/10 - means Moon signs at 4th sign/10th sign from each other. 5/9 – means Moon signs at 5th sign/9th sign from each other. 6/8 – means Moon signs at 6th sign/8th sign from each other. Auspicious Bhakoot : 1/1, 1/7, 3/11, 4/10. Inauspicious Bhakoot : 2/12, 5/9, 6/8. If the combination is 1/1, 1/7, 3/11 or 4/10, then 7 points are given. If the combination is 2/12, 5/9 or 6/8 then Bhakoot Dosha is formed and no points are given at all. So, it is like make or break. Nadi – Last, but not the least. Nadi testing is to check the genetic compatibility of the bride and groom to ensure they are capable of producing healthy children. Now, it stresses on “capability” of producing children. So, it is 1st about health and then about children because only a healthy couple can give birth to healthy children. Now, if child birth is not the aim of marriage, then importance of this criteria reduces. But health is still an issue. It can impact health of both people involved as they will be together 24/7 and exchanging that same elemental energy. But then individual chart also becomes important. One, who has weak Ascendant/Ascendant Lord/Sun/6th house, will be more prone to any health issue. Also child birth largely depends on the girl’s chart and her dasha/transits. So, I won’t consider Nadi Dosha as a concluding factor that someone can or can’t have kids. If child birth is not aim, then importance of Nadi reduces. It may show health issues but, as I said, that can be seen by way of individual chart too. Adi or Vata - Ashwini, Aardra, Punarvasu, Uttara Phalguni, Hasta, Jyeshtha, Moola, Shatabhisha, Purva Bhadrapada. Madhya or Pitta - Bharani, Mrigashira, Pushyami, Purva Phalguni, Chitra, Anuradha, Poorvaashadha, Dhanistha, Uttara Bhadrapada. Antya or Kapha - Kritika, Rohini, Aaslesha, Magha, Swati, Vishakha, Uttaraashadha, Shravani, Revati. The rule for this test is simple in that the bride and groom should not have the same Nadi/Element. If the couple have differing Nadis/Elements then 8 points are given. If they have the same Nadi then it is thought that any baby born to the couple will be unhealthy and therefore no points are given. Hope this helps. Please let me know if there is any query.